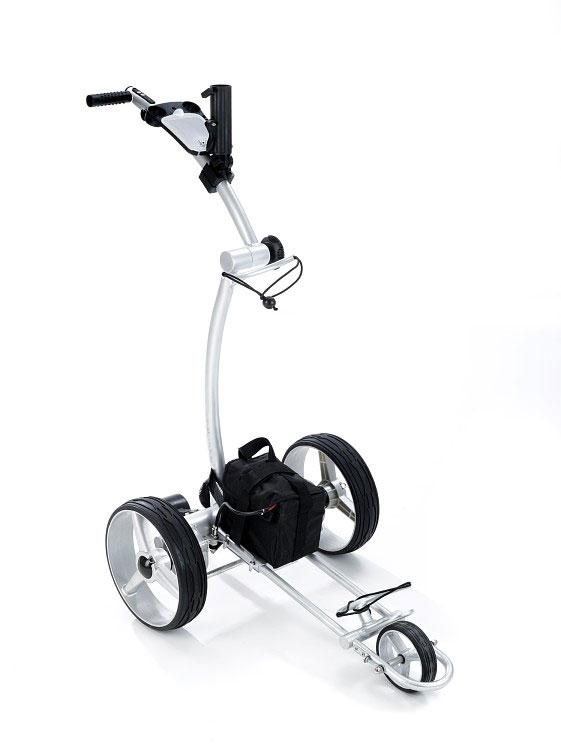 Electric golf trolley using battery electricity to move and helps you enjoy golf game easily. Operating the speed and on/off button, you will know how good the trolley is. 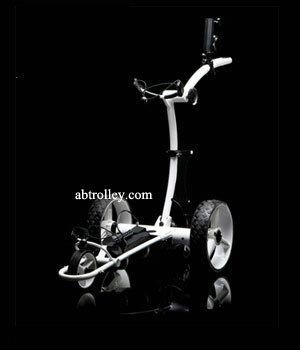 Golf, you, electric golf trolley, beautiful golf ground makes you enjoy your weekend so healthy and sunny. Electric golf trolley as a robot caddy is very common in the golf ground. 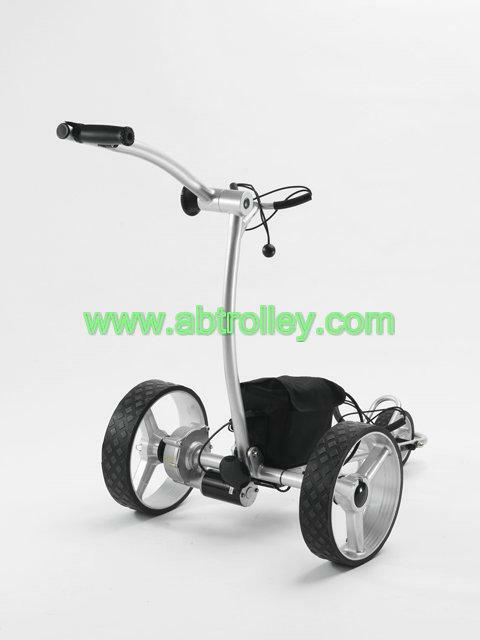 Light weight ,Golf trolley aluminum frame. 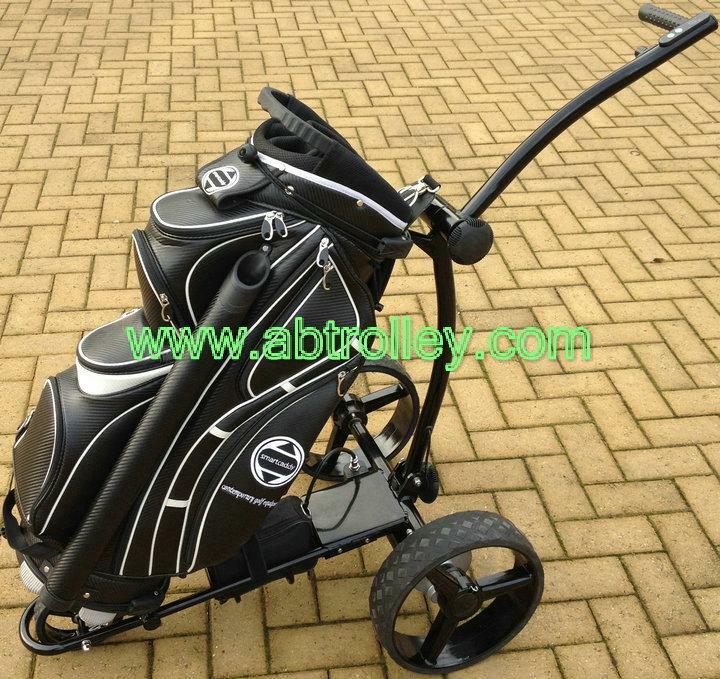 Stable Z shape golf trolley structure, easy to fold unfold and store. 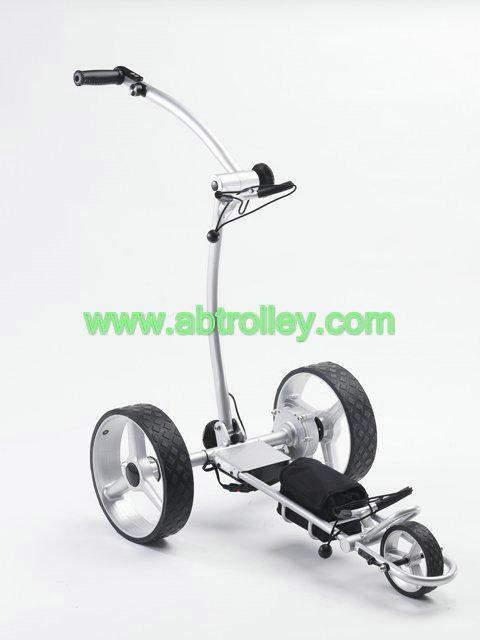 Golf trolley handle height adjustable. 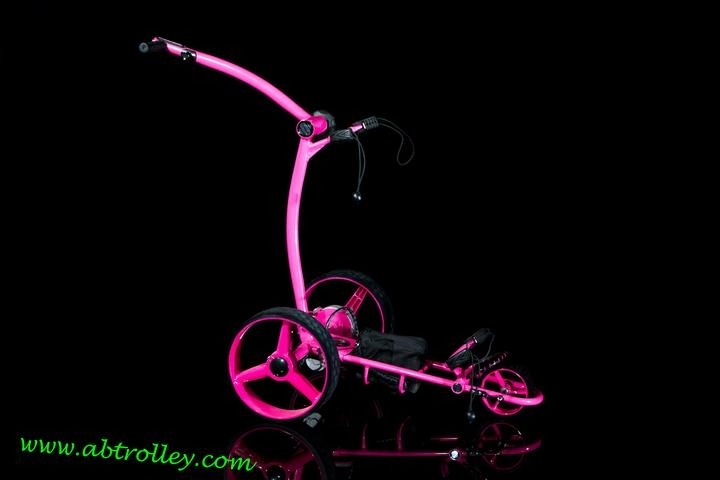 Golf trolley new rubber hot wheels. Slightly press to quick release. Safety starting golf trolley, runs only operating on speed controller. 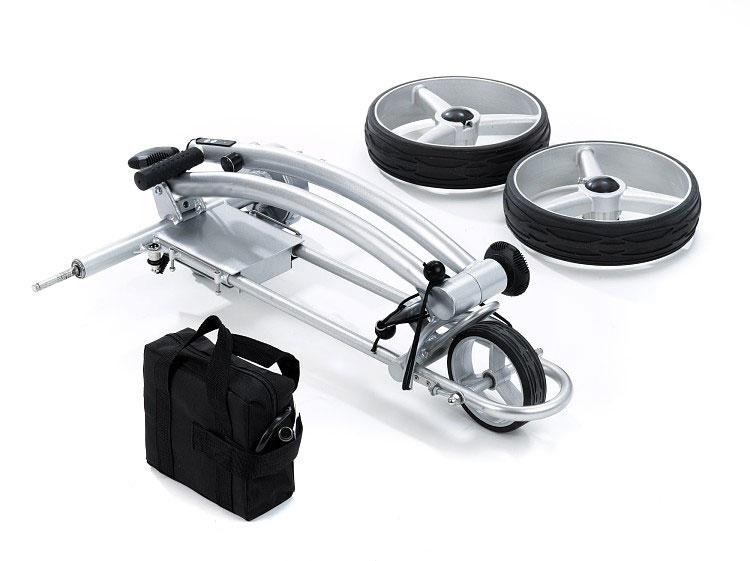 Unqiue speed memory function golf trolley.